This pore-reducing solution helps minimize those large pores and pits, while repairing your weaken skin protection barrier! Shrink & tighten helps reverse all your unsightly facial pores, by pumping in collagen to seal the pores, preventing future problems, by flushing out clogging and calming down irritation. Its anti-oxidant and barrier-repairing properties ensuring your complexion will stay forever large-pore free! shrink and tighten was added to your shopping cart. Best for open pores, all ages. 1. Use shrink and tighten daily. 2. 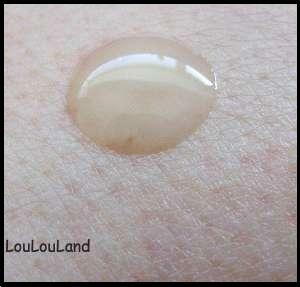 Pump 2-3 pea-sized drops of shrink and tighten onto your palm. Shrink and Tighten really helped reduce my pores. I'm not sure when I began to see the effect, but I noticed after looking closely just roughly 3 weeks after I began to wear this product. I'm now applying this daily on my cheeks and forehead and I can tell that my pores are now less visible - and the difference is obvious when looked at closely. I would definitely repurchase! After 1-2 month used my pores do minimize and blackhead is lesser as i used with squeaky clean cleanser too. Will keep using it to see the effect. No greasy and no oily. No much effect so far, just start using it. WIll keep using. Easy to absorb, no oily no greasy, no so much effect on my face yet, will keep using. 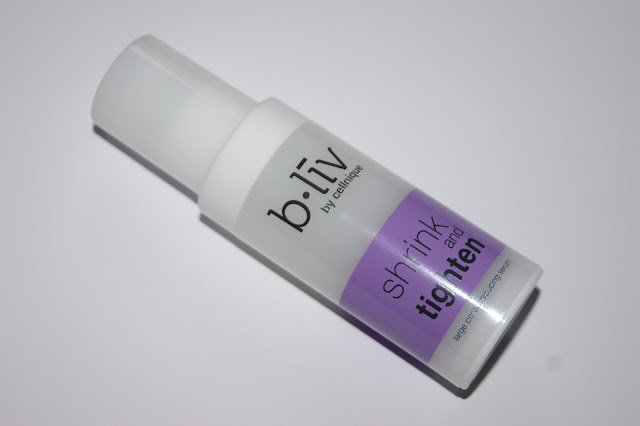 This shrink and tighten serum container is very convenient and easy to store. The texture is very light, i feel comfortable and not oily after apply it. But in my opinion, i do suggest apply the proper portion in lesser amount as apply too much it will feel sticky. After using one, around half year. Apparently, my pores getting smaller. My face getting nicer. I really love this product, it really help shrinking my pores. I also recommend my friend who have same problem like me. i love this product so much it really shrink my pores! i have large pores problem on my nose, cheeks and forehead. after using this, theres only a small area left with visible pores on my cheeks. it really eliminates the large pores that i had and the difference can be seen as early as 7 days for my skin. my skin does felt oily upon early applies as stated on the bottle but now that i have used it many times theres no more oil. now that i have smoother skin with less visible pores, i will keep using this product. it is very highly recommended for those with large pores problem. Used together with off with those heads, pores are smaller & skin smoother. I use this daily in the morning, after my toner. Then I finish my routine with a moisturizer. This serum is lightweight and very easy to be absorbed. I have been a loyal user of this product, since 2011. There was once when I forgotten to restock this, and I have finished the last drop of my current bottle. I have to wait for another 3-days as I placed an online order on a Friday night. My blackheads and whiteheads are gradually and noticeably breaking out huger than before. My T-zone feel rough to touch because of the enlarged pores. I was beyond happy when my parcel arrived on Tuesday. shrink and tighten, as the name suggested, it really does shrink & tighten the pores on my face. i have applied this product before, but my pore size still same, no any reduction, i think the (glow and shine) product will be better than (shrink and tighten) product. I purchased this together with off those head since i have large pores especially around the nose area (due to removing of black heads in the past). I noticed a significant reduction in pore sizes even i had only used this for less than a week and it absorb really quickly after you applied it. It didn't cause any break out and dryness since i having a combination and sensitive skin. It is really a good product. Does what it says! Minimize pores and won't causes any break out on me. I am glad that I purchased shrink and off those whiteheads, these two works perfect on me! Definitely worth the money! After application, the skin feels soft and tight but I have not noticed significant reduction in pore sizes. But it was effective in maintaining a clear complexion and preventing acne breakouts. Got the sample for free and there definitely is improvement in the size of my pores! Just a note, no products will never make your pores smaller or disappear. It will just help tighten the pores. Been searching high and low for an effective one and this product does the job! And I only used it over 2 or 3 weeks! Pores are more tighten and less visible :) Doesn't dry out my skin. Definitely worth repurchasing! I started using Shrink and Tighten after receiving it as a sample from my order for Off with Those Heads. This duo is a perfect combi!! Only using "Off" will remove blackheads, which effect with be complimented by using "Shrink"; because simple logic being after removing the grit from the pit, you will need to close the pit back :D my face is amazingly smooth now and complexion more refined. I can see the effect after only using this product during the day as well as the Shrink and Tighten + at night for 3 days. The large pores have significantly reduced. Will definitely recommend this product. This one and off with those heads worth every penny. This is the free gift for purchasing blackheads. Used 2 days and my pores are already smaller! Not sure how long I need to continue using. But this feel is good. I like it. Got this as sample for free. I've used it after applying "off with those heads" as I am having big pores due to blackheads :( After 1 week times of usage i can see remarkable improvement! My pores did actually shrinked a bit. Will purchase full-size bottle very soon!! I tried a sample of this, this product is not as oily as the night one. And you can felt the tighten of your pores just after one time usage. I think it also can make your face felt less oily by the whole day! I like this product, will definitely buy it after I finishing my sample! This serum is wonderful! it is light weight, absorbed into skin quitely and not oily at all...my pores are visibly smaller after using this! I bougt so many stuffs for here and received some examples, "shrink and tighten" is one of it, some of the reviews said that "shrink and tighter" and the "shrink and tighter+" has the same effects. But after a week testing, I can said "shrink and tighter" + "shrink and tighter+" use together got best result. I come back for it. One week with "shrink and tighten" and my pores are already smaller! I was busy with my thesis last month and didn't have time to take care of my skin. I realized that the pores on my cheeks are drooping and HUGE. I got this once I submitted my 250-page work and it's working miracles! My pores are smaller and I can really see how the serum tightens my skin! I like the texture when I use it in the morning. It absorbs really quickly and is not sticky/ oily! I recieved a sample as a gift and the Shrink and Tighten serum was included in the set of three. Its a bit runny, but once its on your face it has a cooling/tingling effect that I love. I feel like Im at a spa in my own home when I use thse products. I have recommended this to a friend of mine. I think Im going to purchase this serum and submerge me for her birthday! Im a fan of this stuff! This is faster than the night complex with the absorption of, is not oil, the oil is also improved. But it seems a little bit the taste of alcohol. Also cooperate with OFF WITH THOSE HEADS are used together, remove blackhead and shrink pores. Just spent a week, the skin feels fine than before. Is not a product of the immediate, but insist on, still can see the effect. I got this in sample and hasn't use it till 3 weeks ago. I noticed my open pores have shrunk after 3 times of usage! My nose area is not as oily as before and the skin feels n looks tighter! FYI, the sample size can be use for a week as i use a tiny drop each time! Highly recommend this product! I use it with off the blackhead in the morning and have used for about 2 week (also use the oil at night). All the products works perfect for my problem skin. This serum is easy to absorb by the skin and you face will not feel oily all the day long. The pores are smaller and smaller. I what to try other product of this brand because of that. I use this product with the shrink and tighten + night complexion. This one is different from the night formula. Since it is designed for daytime, it cannot be like massage oil as the same to the night formula, which makes sense. It is easier to be absorbed by skin. I feel refreshing after i use it every morning. But it does not work as quickly (obviously) as the night complexion for shrinking pore sizes. I think it mainly helps to unclog the pores during the daytime, and repair the cells. I can tell there is less breakout on my t-zone. It definitely controls the oil and it also reduces the amount of dirt or other contaminant that would stick to my pores. These effects can all prevent my pores from enlarging, so that I can use the night complexion at night to tighten my pores.Overall, it is a good product. Try to use this product with the shrink and tighten + night complexion, it will give you the effect without dryness. I has been using this for about 2 weeks, I used it without the night complexion, the effect is slower but still can see the pores is shrink. However, the night complexion is like a booster, increase the effect of pore tightening. I would highly recommend you buy the b.duo kit which have these two products with the off with those head. it is a perfect combination for someone has blackhead + large pore issue. totally thrilled when dhl delivered this to me 2 days back. it's very light on skin, speedy absorption and yes, the light tangy citrus scent. and it makes my skin absolutely smooth and soft! i'm so loving it. look forward to every application, and look forward to smoother softer skin every morn. i hope it'll continue to deliver this result! The Shrink and Tighten serum has great anti-inflammatory properties which meant that while shrinking the pores it also significantly reduces red patches on the skin. Above that, Shrink and Tighten serum also contains antioxidants which would assist the skin in retaining its youth for longer periods of time. It is a great product with multiple functions and it is available to your skin in a simple single application.